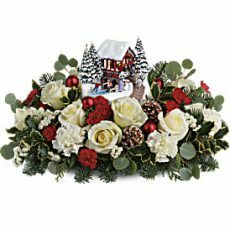 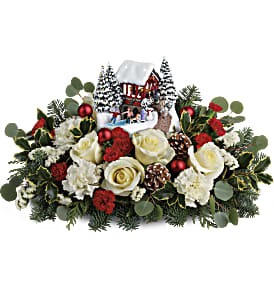 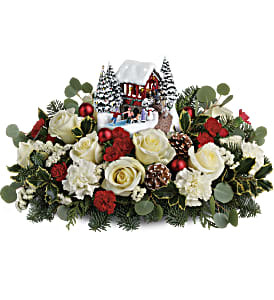 White roses, white carnations, and miniature red carnations are arranged with white sinuata statice, silver dollar eucalyptus, flat cedar, variegated holly, and noble fir. 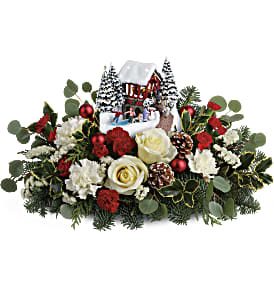 Delivered with a Thomas Kinkade’s Snowfall Dreams keepsake. 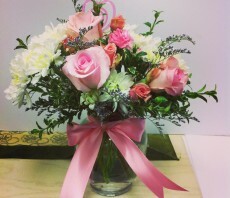 Feminine flowers fill a charming ribbon-wrapped vase. 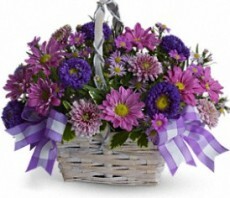 This delicate arrangement is perfect for many occasions from welcoming a new bundle of joy to saying fare-well to someone dear. 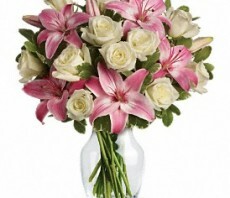 Fun, Bright and Glamorous. 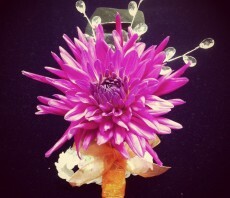 Hot pink spider mum, orange chiffon bows, clear beads on a sequined wristlet.